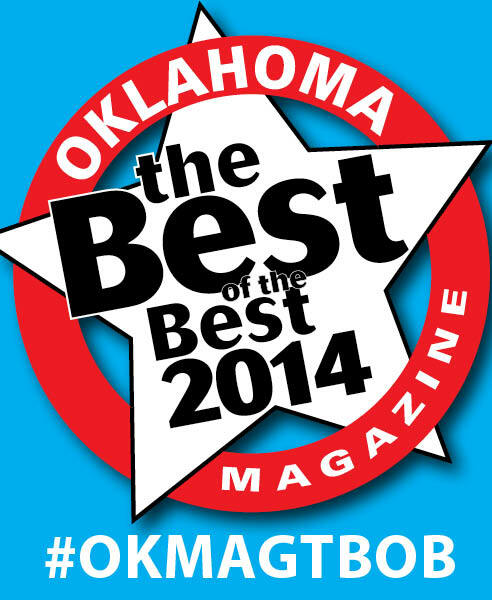 Manhattan Construction Group has been named a “2014 Best of the Best Company to Work For” by Oklahoma Magazine. This is the second consecutive year Manhattan Construction has been bestowed this honor. Manhattan Construction is the only construction company to be named in this category. When Laurence H. Rooney founded what is now Manhattan Construction Group in Oklahoma Territory in 1896, he built his business and reputation for trustworthiness and dependability through consistent performance. These same timeless values have enabled Manhattan to grow and prosper into one of the most respected construction firms in the nation. The firm’s operating companies are Manhattan Construction Co., Manhattan Road & Bridge Co., Manhattan Pipeline, LLC, Cantera Concrete Co. and Spectrum Contracting, Inc. Manhattan is recognized by Engineering News-Record as a top 20 U.S. domestic builder and in last two years has received 50+ industry honors for quality and safety. The company’s services include Builder-Driven Pre-Construction®, construction management, general building, design-build and turn-key projects, roads, bridges, civil works, pipeline and specialty construction. Manhattan works in the U.S., Mexico, Central America and the Caribbean. The City of Frisco, the Frisco Independent School District (FISD) and the Dallas Cowboys are one step closer to ‘moving dirt’ and beginning construction of the team’s new world headquarters and the city multi-use event center in Frisco, Texas. The mobilization of site preparation crews begins June 25 on the 91 acres of land at the northwest corner of Warren Parkway and the Dallas North Tollway (DNT). The City of Frisco issued a ‘notice to proceed’, allowing crews to begin the mobilization and site preparation process. As a result, engineers are surveying the site and crews are installing site ‘fencing’ to manage access and erosion. Equipment will start being delivered to the site, beginning tomorrow. The public-private partners have secured a construction team consisting of Gensler, Manhattan Construction Company, Kimley Horn and Alliance Geotechnical Group that will work in a coordinated effort once construction begins. Mass excavation is scheduled to begin the week of July 7. A ceremonial ‘ground breaking’ event will be scheduled in August; however, no exact date has been set. The City of Frisco, FISD and the Dallas Cowboys announced plans for the public-private development August 13, 2013. 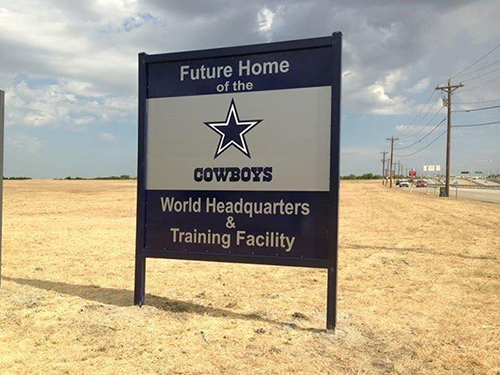 The Dallas Cowboys are planning the move to Frisco in fall 2016 from their current headquarters located in Irving, Texas, the team’s training home since 1985. 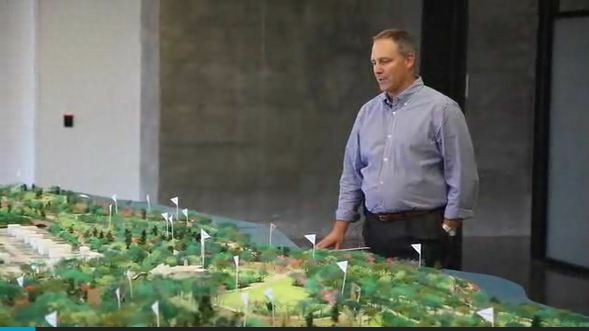 In this Tulsa World video, George Kaiser Family Foundation Project Manager Jeff Stava gives a tour of A Gathering Place for Tulsa model. A Gathering Place for Tulsa is a 66.5-acre park planned for Riverside Drive and designed to appeal to people of all ages. The park will include walking and bike trails, a lodge for meetings and even a pond for boating. The project will unite three adjacent sites to form a continuous park space along the Arkansas River. A few of the park’s features include Mist Mountain (a water-focused play area), a 4.5- acre Adventure Playground, Four Seasons area (which will feature quarried stone, boulder embankments, stone pavement, seating areas and 20-feet-high stone veneer walls), Sky Garden area, lodge park building, a three-story Boathouse with restaurant, and two 300-foot-wide land bridges over Riverside Drive. Manhattan Construction Group’s collective capabilities, including general building, road and bridge construction, played a role in our selection. Video: Manhattan Construction’s Tyler Wellborn provides a video update on the University of Houston Stadium project. You are currently browsing the Manhattan Construction Group blog archives for June, 2014.